A Special Event For Pokemon Go Players Like Me! ITS x POKEMON!! Hye there! It's been awhile, but I am back for a quick update for you! If you are a Pokemon Go player like me (still a noob though) then you better get ready for battle! Recently I received news that ITS ( In The Shirt ) will be collaborating with Pokemon Go! 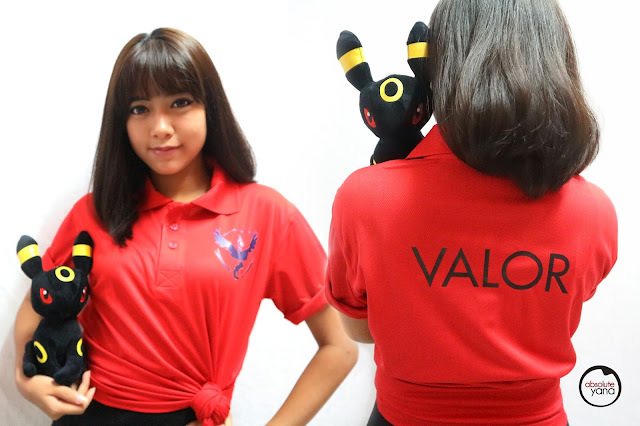 And if you are either on Team Valor, Team Instinct or Team Mystic, you can now proudly wear your team on your back! Weee!! See what I got from them too!! These notebooks are just too cute and the hand drawn chibi pokemon monsters are just too adorable!! How you can get your hands on these items too? Easy! 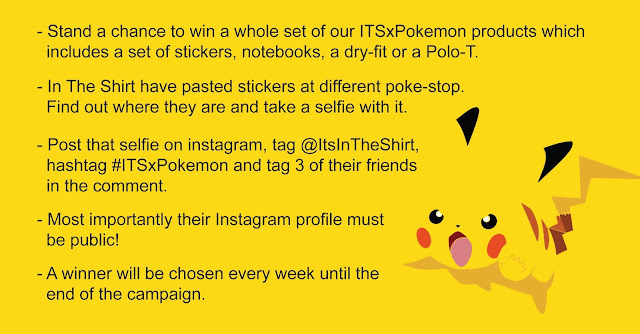 Join their ITSxPokemon Contest on Instagram! Great way to kill two birds with one stone, huh? To go hunting for pokemon while getting something back. Not sure what is ITS? Haven't heard of them before? 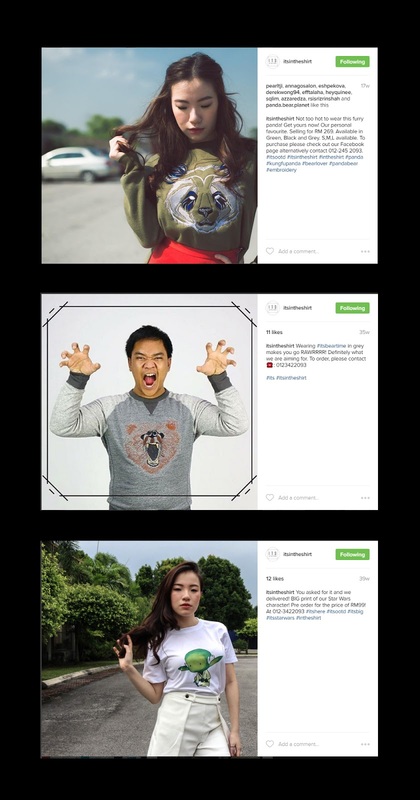 Well, ITS is basically a clothing printing brand and they have a really cool range of outfits up for sale! Don't believe me, then take a look at their Instagram. Pretty cool right? The best part is their designs are all hand drawn! Oh and pssst! They are also having another promo called the Mystery Egg!! They will have a RM50 and RM100 Mystery Egg. This Mystery Egg consists of different products that ITS has. Just infrom them your size and they will send to you a set of products worth the amount you paid! Just in case if you are a bit on the lazy side to go hunting. Have fun! Till the next post, see you! Pokemon Go seems to be on the rise now and its great that they are coming up with apparels to match the hype :) Looks lovely. hehhehe welcome..nanti share yer...nk tau gak dpt ape.. The shirt looks great. I'm sure my children love to wear it too since they always wanted anything that related to Pokemon now. hope you get something you like there..
the shirt is so so cute!! !I want it!! I'm interested to get some Pokemon Go themed merchandise. Let me check their site to get their mechanics. My children loves the Pokemon Go. They will ask me to buy the t-shirt if they saw your post. hehehehe...whispers* buy it for them.. I haven't started downloading Pokemon Go yet. Maybe it's time to try. The T-shirt looks nice. *cries I was a player but didn't have time to play it always so uninstall already. The chibi Pokemon looks so cute! Maybe I get my friends to join, I get the prize instead. Lol. hahhaha good strategy you have there! I like the panda top! It's so nice especially the colour. hehehhe we think a like! Too bad I don't play Pokemon Go. But the merchandise looks good. So sad my old damn phone is not compatible with Pokemon Go! I like the third Tshirt ..Looks so cute! I don't play Pokemon Go at all! The products look cool though. the stickers are cute la. although i am not a Pokemon player, this seems like something good. Oh I love teh tshirt and of course those pokemon go players are dying to get their hands on these merchandise too. Pokemon fans should give a try on this contest. I not a creative person but i creative in sharing this post out. Lol. By the way, will share it with my friends. They are crazy about Pokemon.